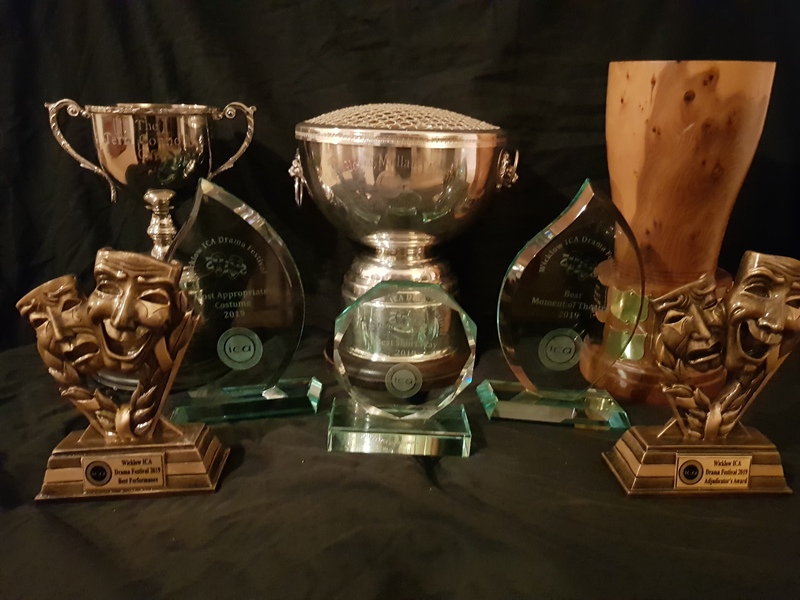 Dalkey Players are delighted to share the news that our play “The Last” (Formerly “Khora: A Space Between Time”) written and directed by Emmet J. Driver, has won 5 awards at the 64th Glenealy Drama Festival. Gloria Mullally Award for Best Moment in Theatre for the play’s finale. Norah Ferns Trophy for Most Appropriate Costume, awarded to Mary Rigney. Best Performance jointly to Anthony Belton and Freddie O’Brien. the Terri Connolly Cup for Best Short Play. The cast, crew and all the Dalkey Players would like to thank everyone for their continued support during this production and beyond!